From 2009 to 2011, Gökhan was a senior advisor to the Turkish Minister of National Education. He is known as a leading public intellectual, speaker, broadcaster and writer on comparative education policies, 21st Century skills, and future trends in education. He is currently the president of the Istanbul Center for Digital Affairs which provides research, advocacy, consulting and training services (digitalaffairs.org) for companies and public-sector organizations. He taught digital diplomacy and digital education at University of Bahcesehir and University of Okan in Istanbul. He is currently a lecturer in the Faculty of Education at Aydın University. Yücel’s lectures focus on the future of instructional design. 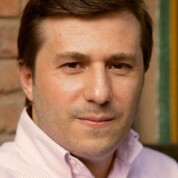 Gökhan Yücel was the digital director of Turkish Prime Minister Ahmet Davutoğlu’s campaign during the 2015 General Election. Gökhan Yücel holds BA in Journalism & Economics from Marmara University and MA in European Politics from Essex University. He studied politics at the University of Oxford. He also completed the Public Leadership Executive Program at Harvard University John F. Kennedy School of Government. Gökhan contributes to Digital Age, Turkey’s sector-leader magazine for digital life & technology and Hürriyet’s education supplement. He broadcasts the Global Education Leaders Hangout Project with globally renowned education experts (egtciler.tumblr.com).